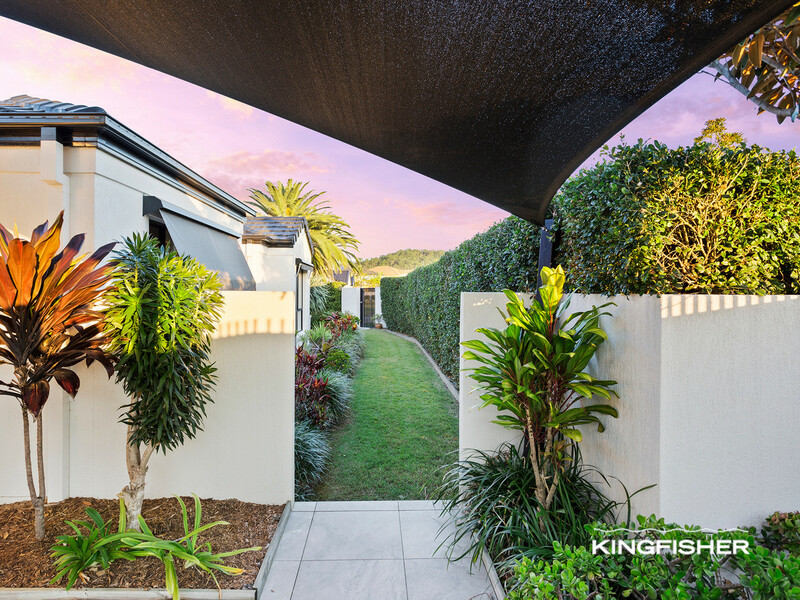 Privately situated on a massive 836m2 corner block in the heart of “Burleigh Cove” recognised as one of the Gold Coast’s most distinguished estates. 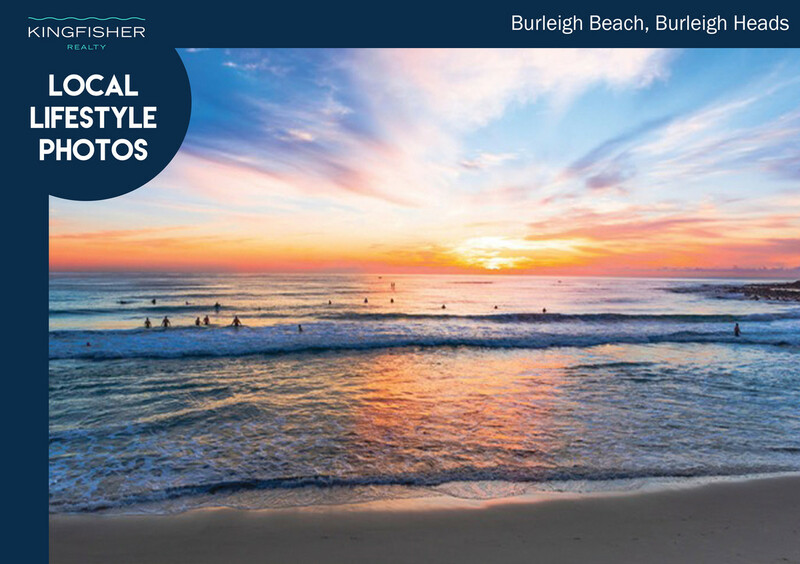 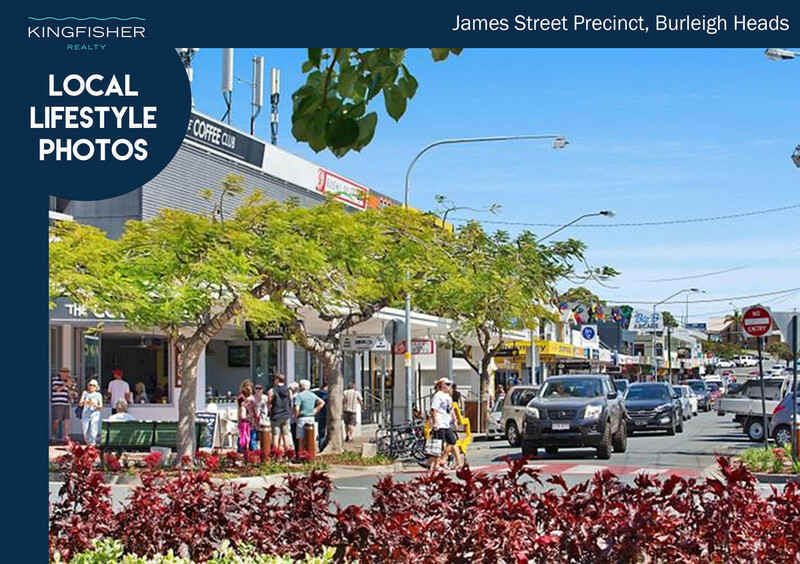 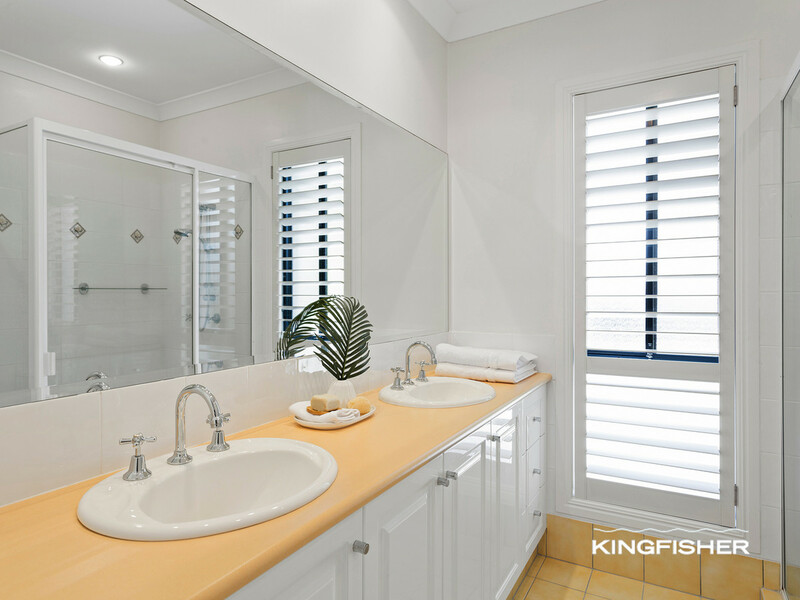 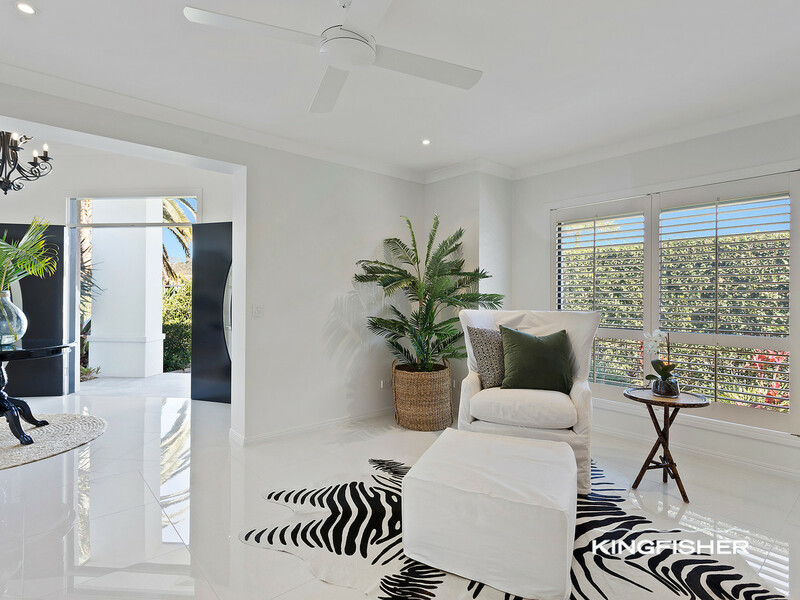 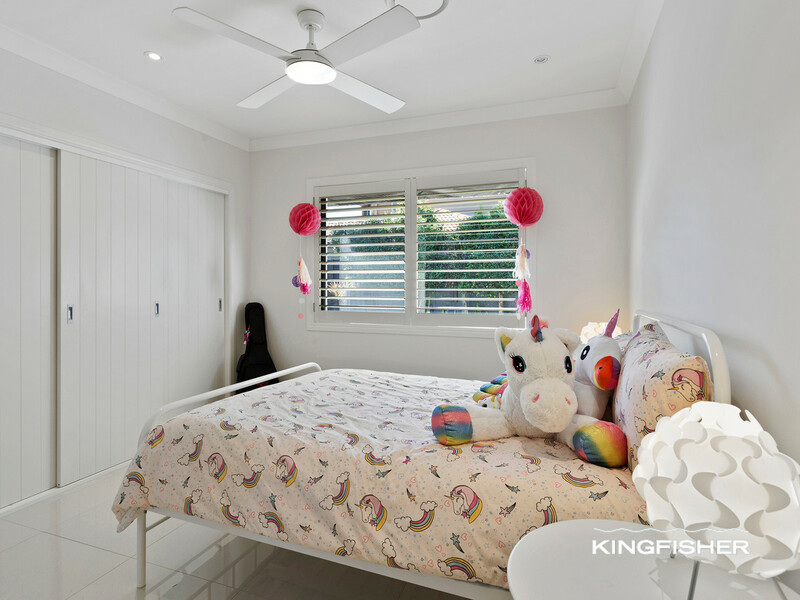 Combining lifestyle and luxury living, moments to all the best Burleigh has to offer. 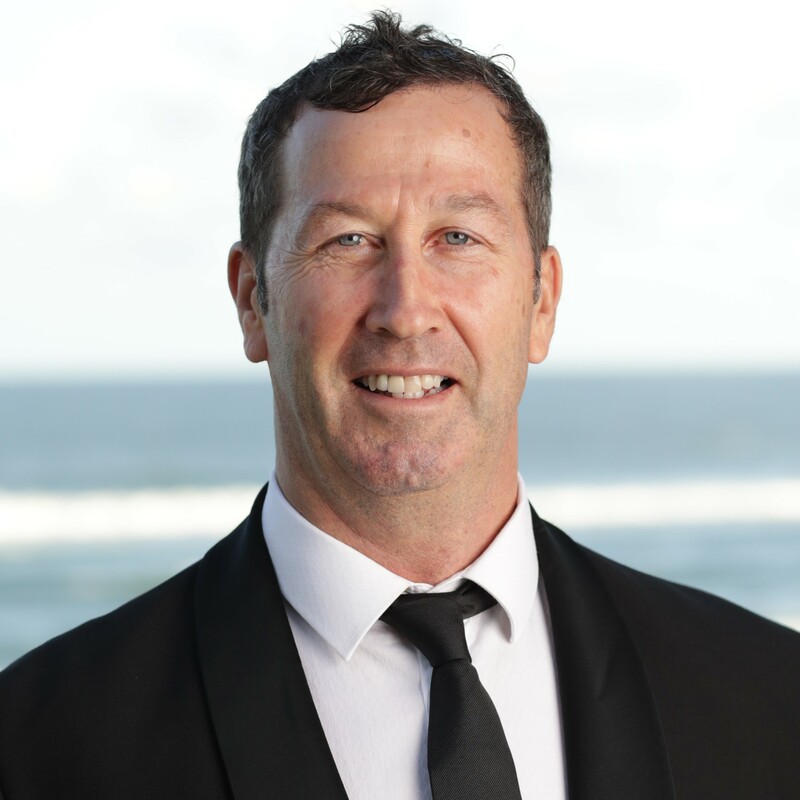 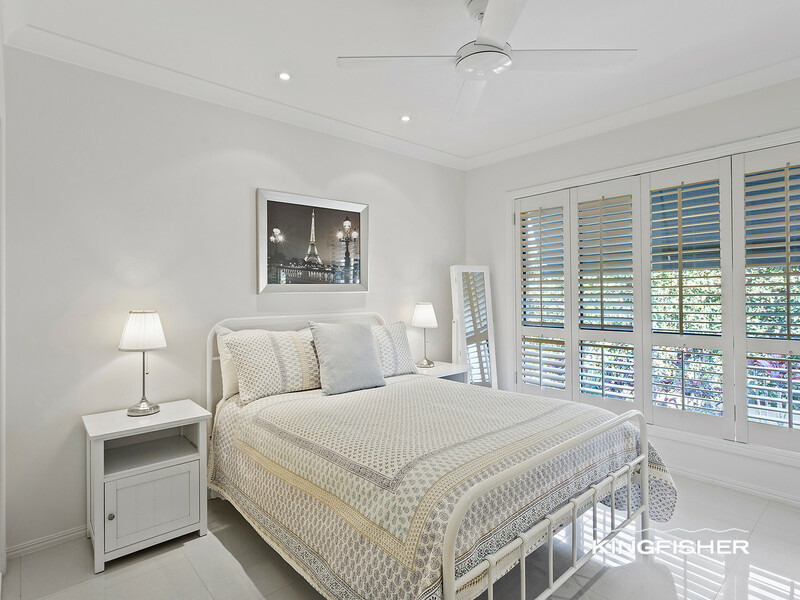 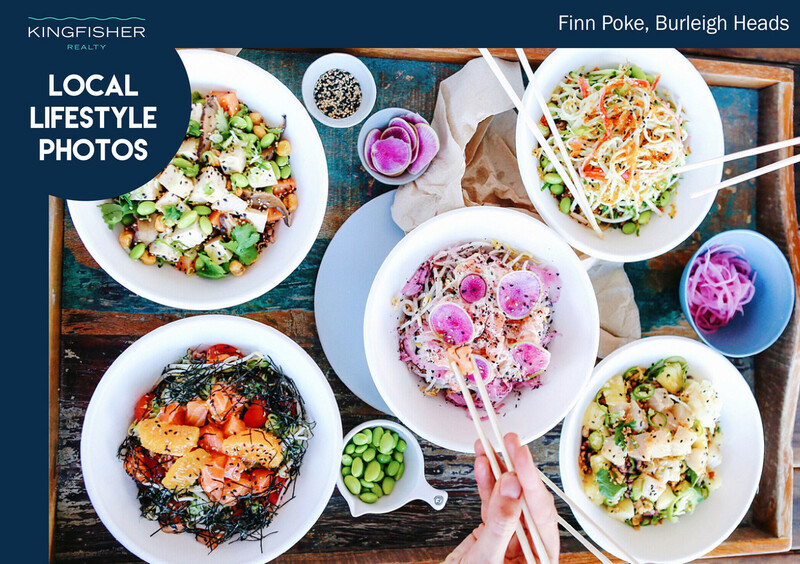 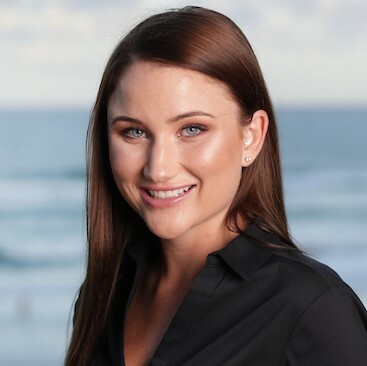 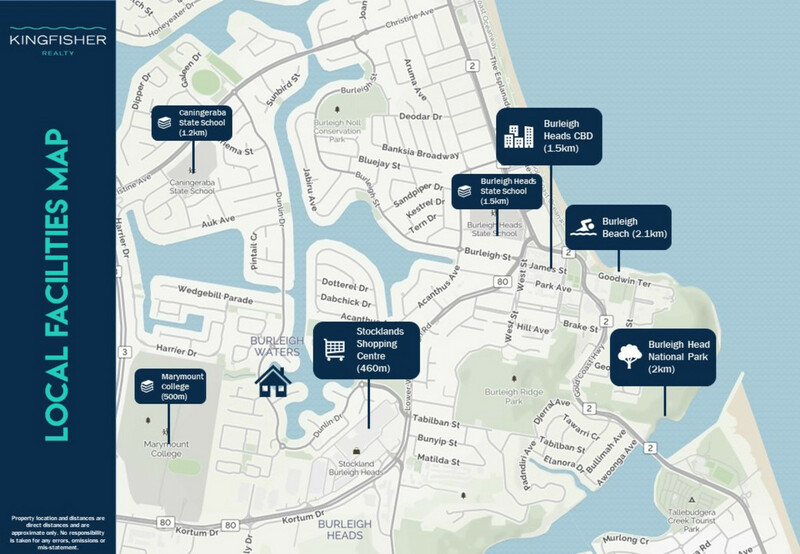 From soft-sand beaches to renowned restaurants, boutique café and stores, recognised schools, national parklands, recreational areas, and shopping centers surrounding. 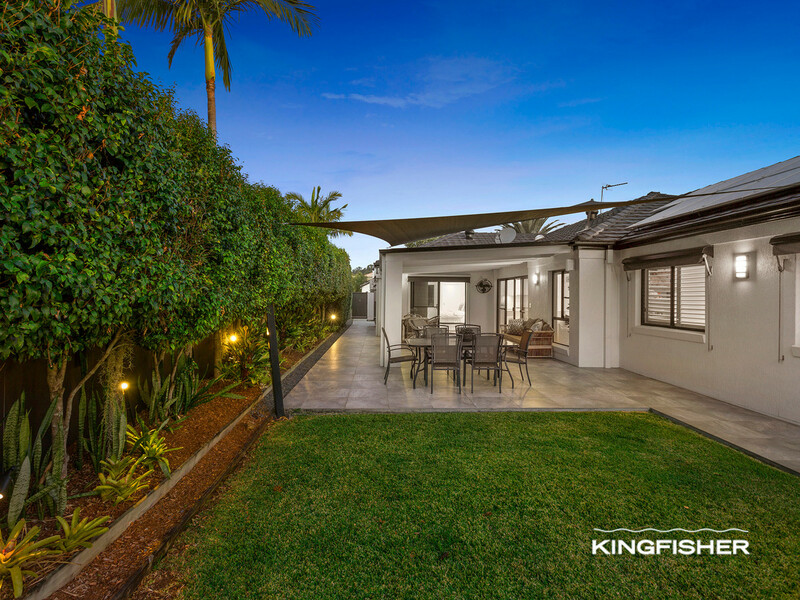 Offering fantastic street appeal and privacy, with stunning hedge gardens surrounding. 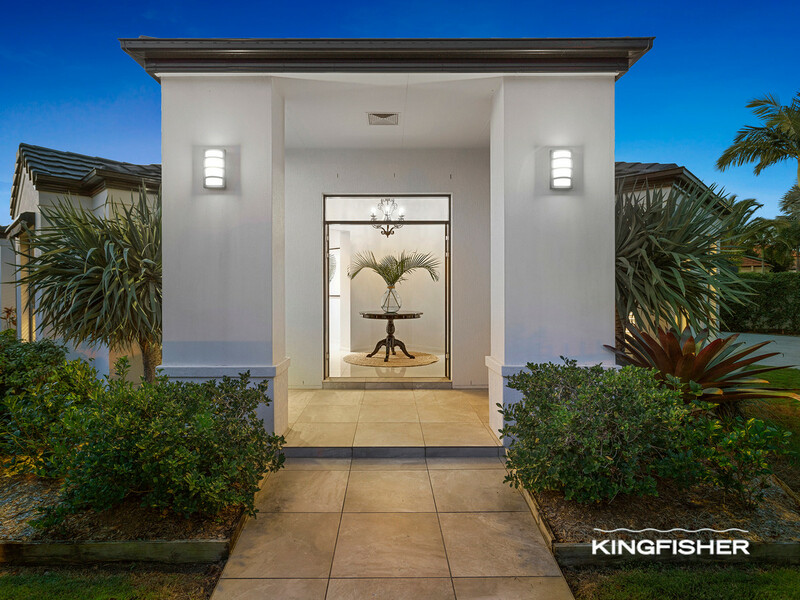 Presenting a feel of grandeur upon entry, with gorgeous double doors leading you through to an elegant home boasting high ceilings throughout. 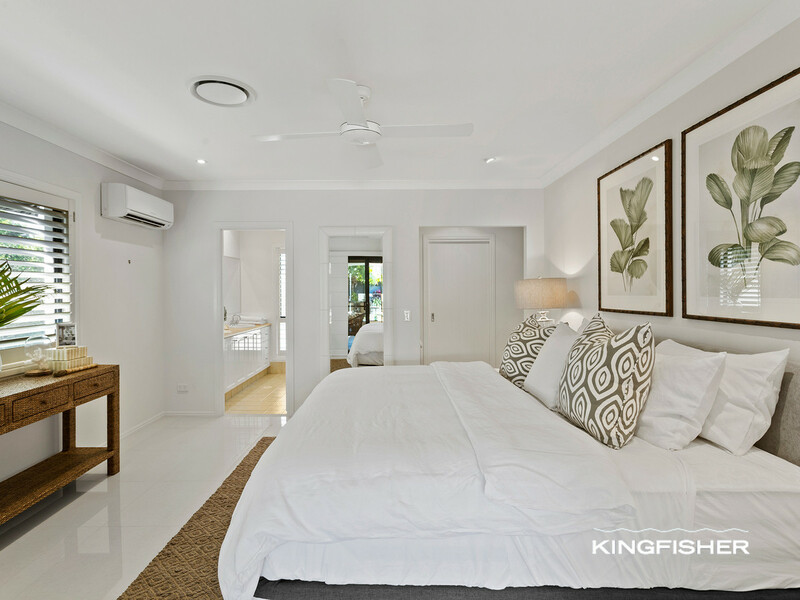 The master suite defines indulgence, it is simply superb! 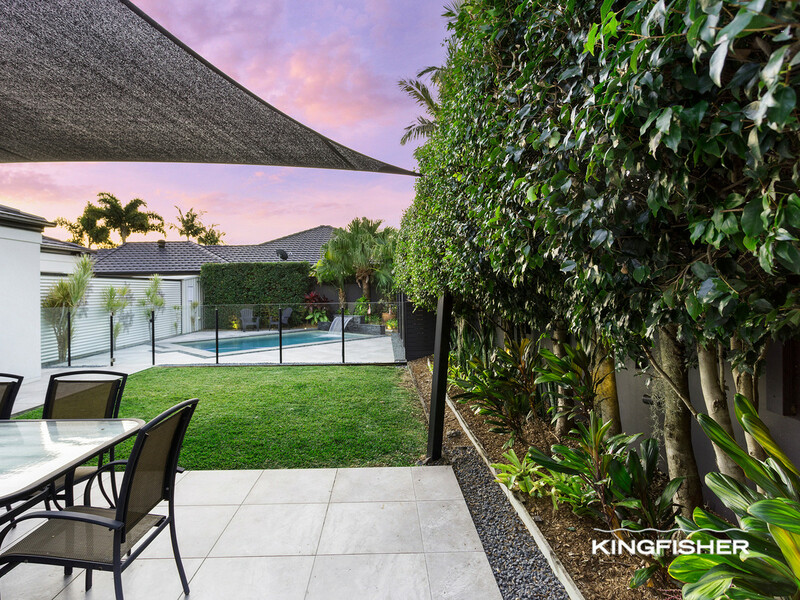 Unwind in your own sanctuary providing you with space beyond belief. 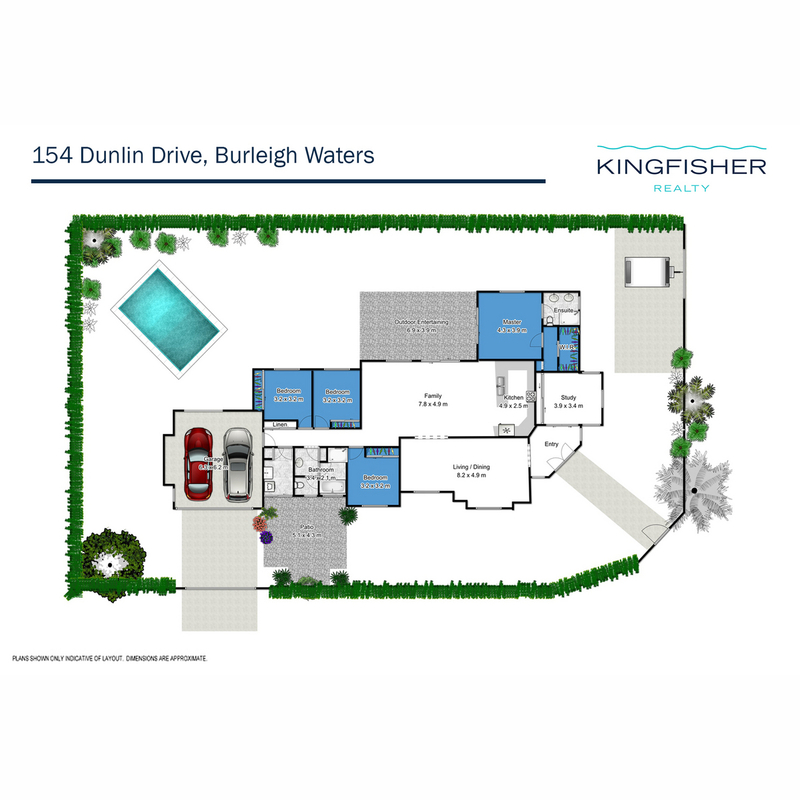 Featuring access to the outdoor entertaining area, lovely ensuite and walk in robe leading you to the parents retreat/home office or media room. 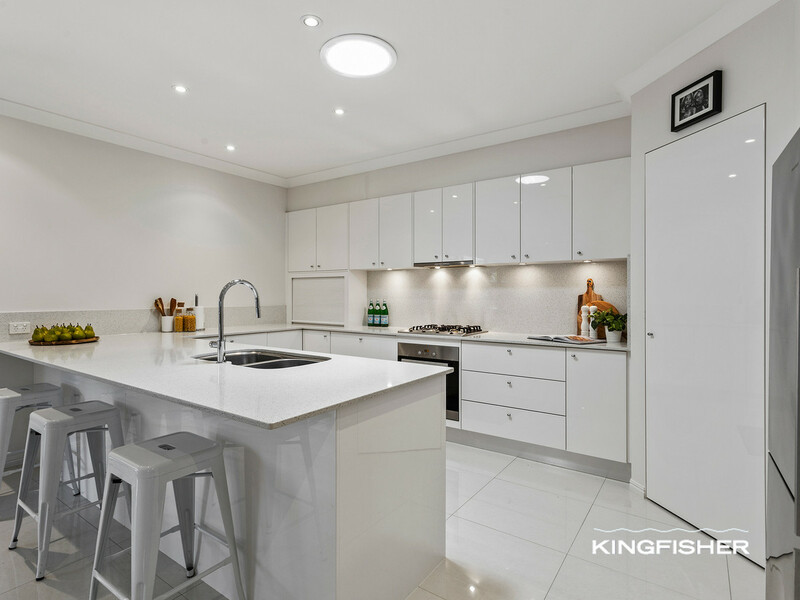 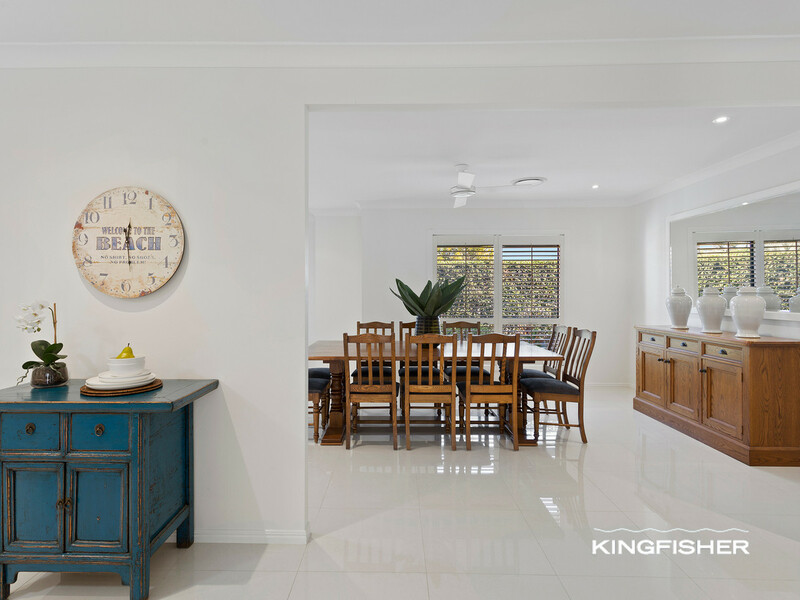 Stylish modern kitchen with a stone benchtop and quality appliances, gas cooktop, dishwasher and vast storage throughout, flowing through to the spacious living and dining area. 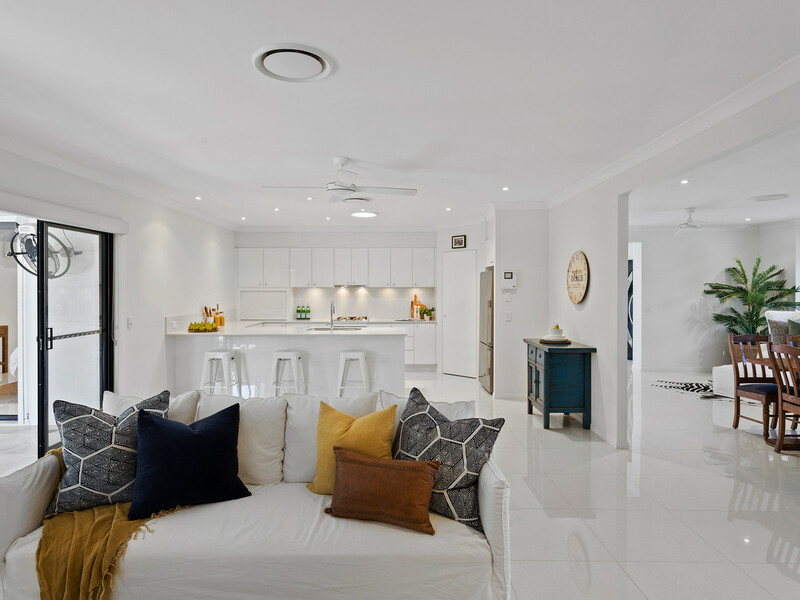 The versatile floorplan offers comfortable living, with two separate living areas plus an additional three bedrooms complete with built in wardrobes, all serviced by the main bathroom and separate powder room. 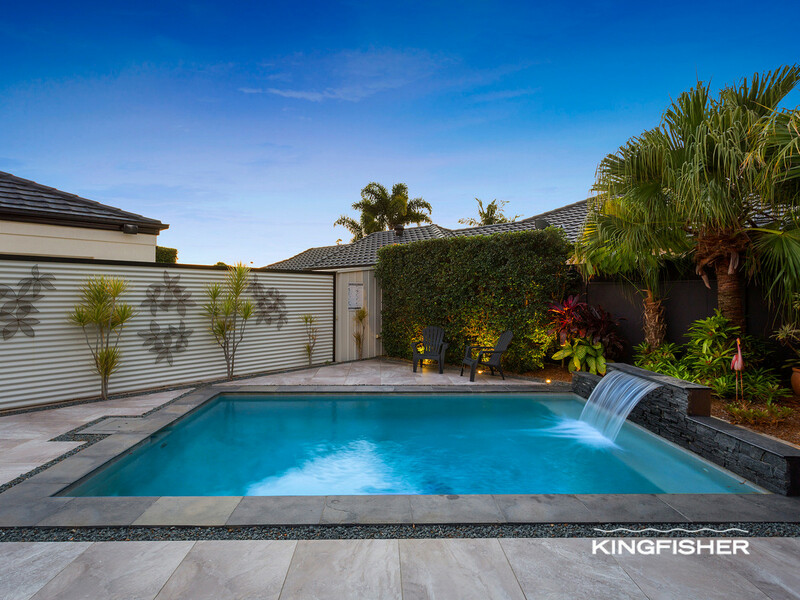 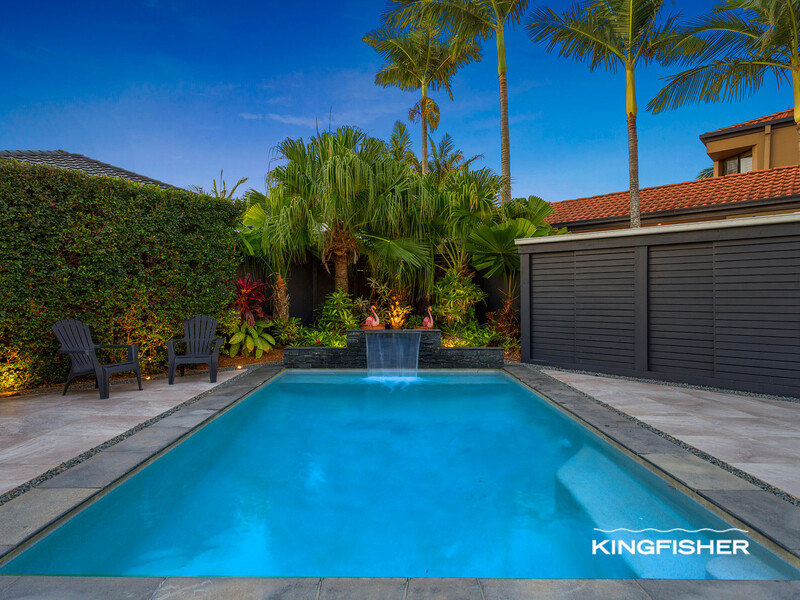 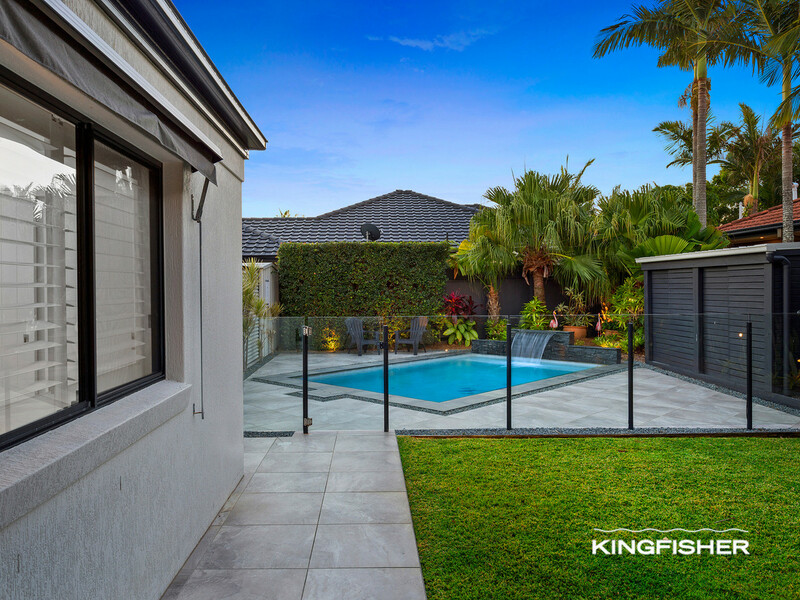 The blissful pool and covered outdoor entertaining haven boasts an ideal north/east aspect. 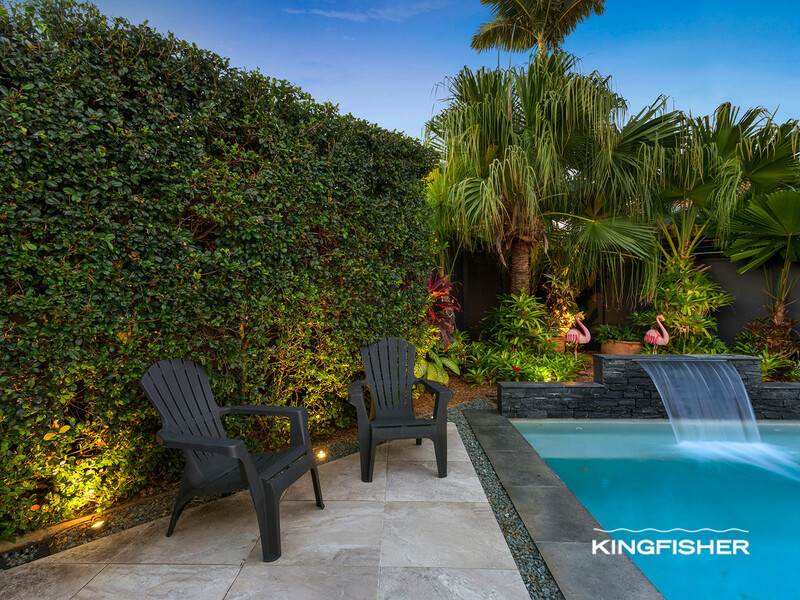 Surrounded by perfectly manicured sub-tropical gardens overlooking the sparkling saltwater pool, with tranquil waterfall feature and outdoor shower. 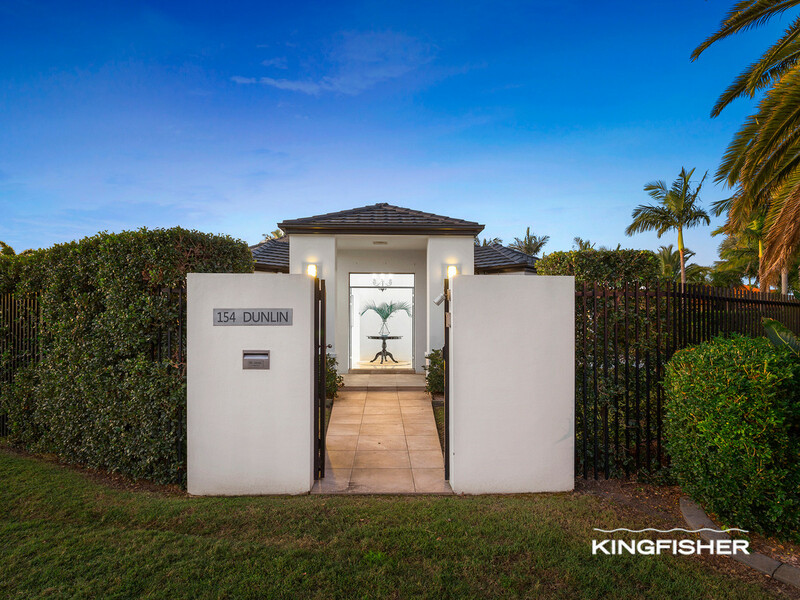 On a generous block with a double lock up garage and convenient separate gated entry (off Palmyra) for additional cars, a boat or caravan. 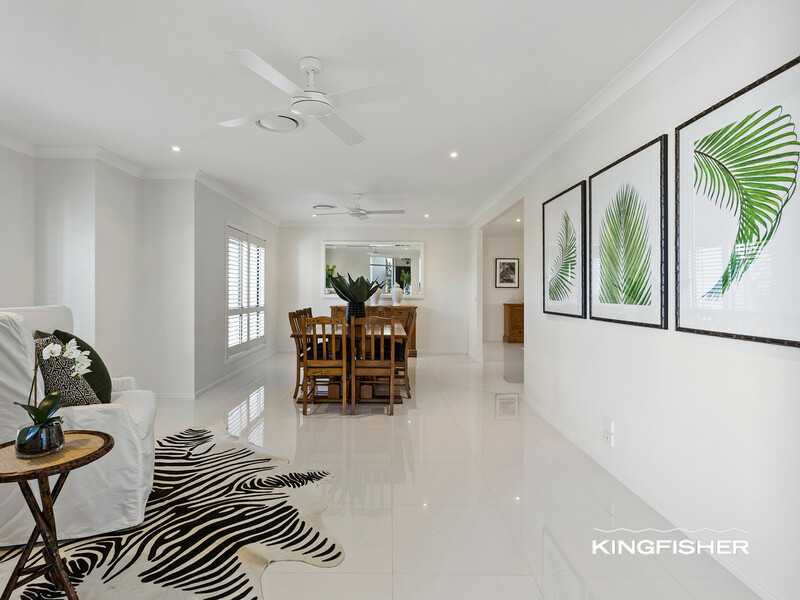 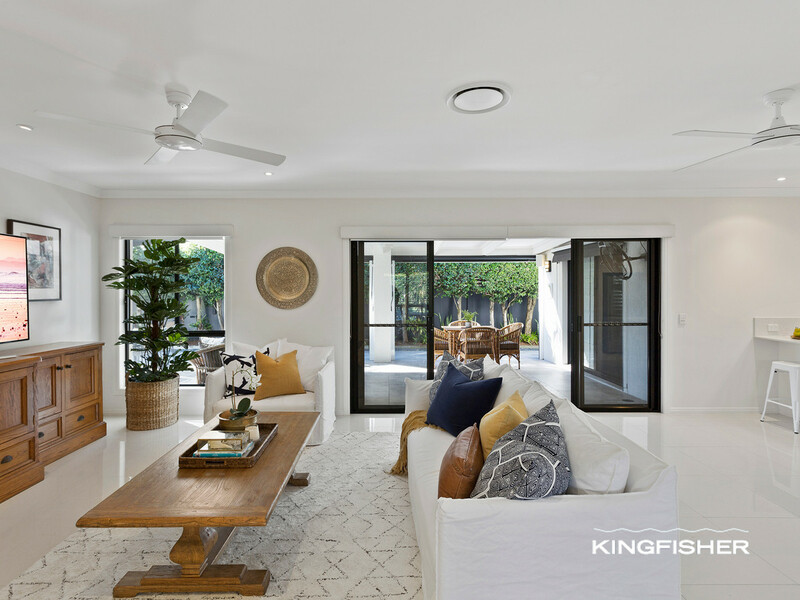 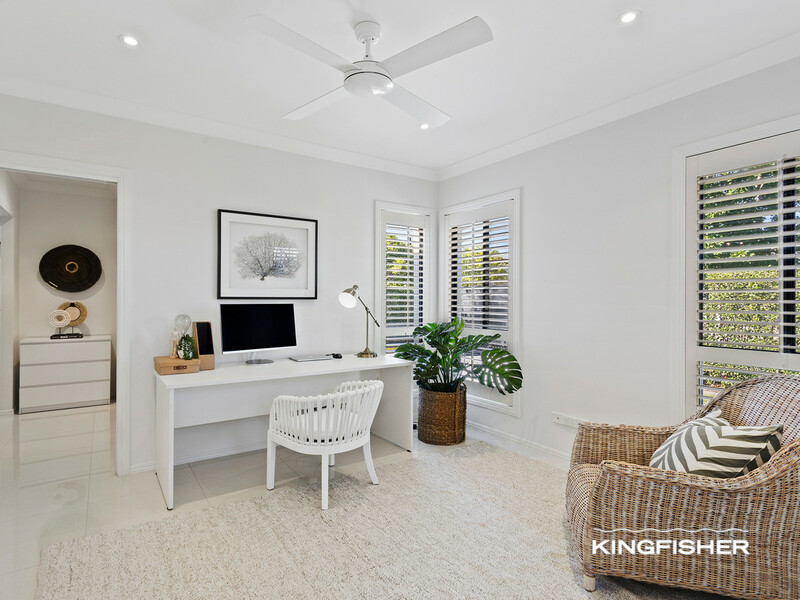 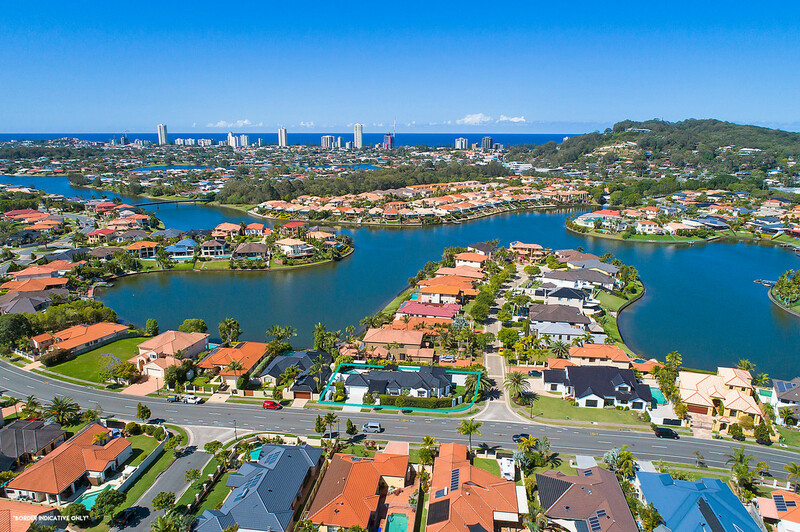 ‘Burleigh Cove’ was created in 1998 with homes set to a very high standard; complimented by gorgeous landscaped settings, parks, and featuring splendid ocean-fed waterways including Burleigh Lake. 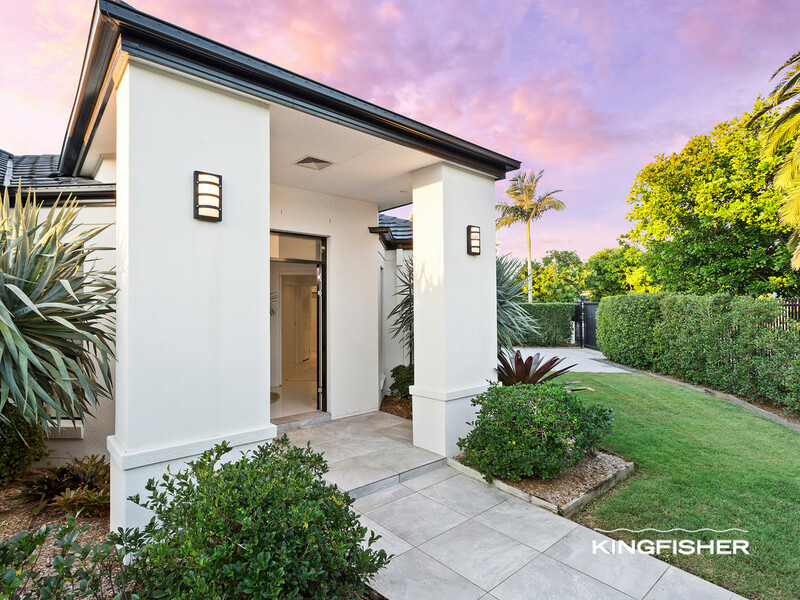 Disclaimer: Whilst every effort has been made to ensure the accuracy of the above and attached information, no warranty is given by the agent, agency or vendor as to their accuracy. 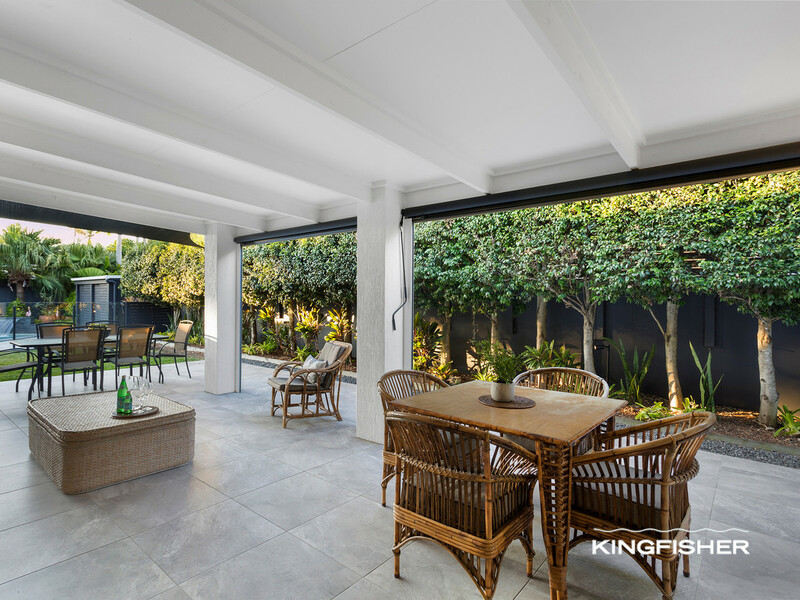 Interested parties should not rely on this information as representations of fact but must instead satisfy themselves by inspection or other.